All new design. Espeical the chocolate auto feeder, it's No.1 des # in china. 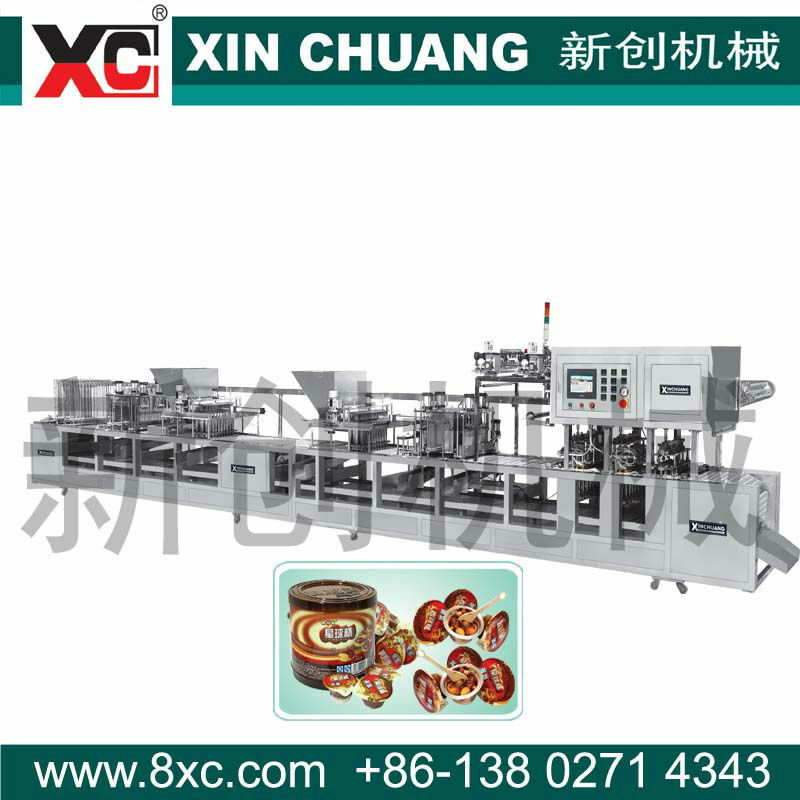 A highly automated chocolate cup filling sealing machine. 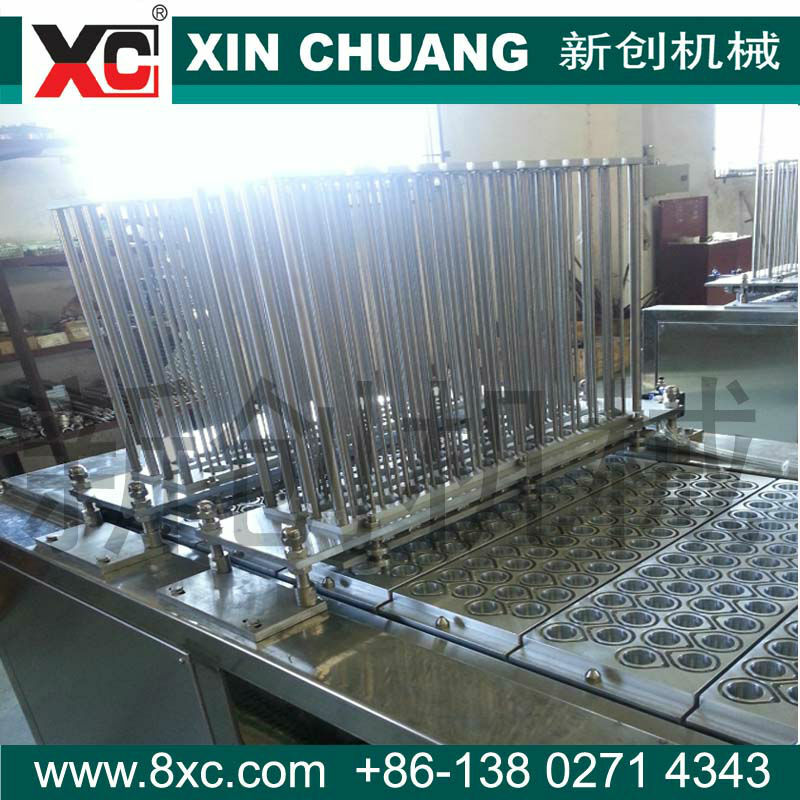 The operation cycle, from cup feeder, filling, 2 times hot sealing, cutting, to product outfeed are fully automatically performed. It's a necessity in mass production line ! 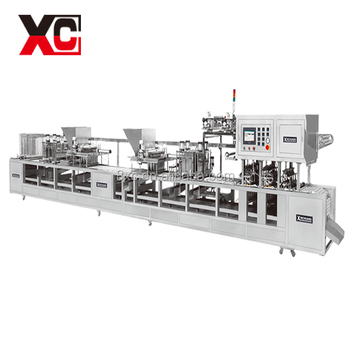 All machine materials are made of SS#304, PLC control with touch screen, Servo Driving, High Precision Speed Reducer, Pneumatic Control, Photoelectric Switch.